Canterbury Cathedral Lodge is a unique and contemporary hotel and conference venue situated in the inspirational grounds of Canterbury Cathedral, a UNESCO World Heritage Site in the heart of the city of Canterbury, Kent. Renowned for stylish and comfortable hotel accommodation with stunning views of the Cathedral and a superb conference venue for meetings, conferences and events, as well as parties and wedding receptions. 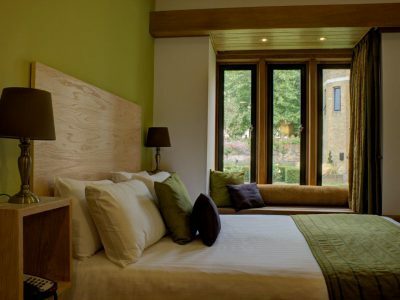 Of all the hotels in Canterbury, the Cathedral Lodge offers the best located hotel accommodation in the city. Go to bed and wake up the next morning enjoying the wonderful view of the Cathedral from your bedroom window. Our modern, comfortable facilities include en-suite bathrooms, complimentary Wi-Fi and LCD TVs. 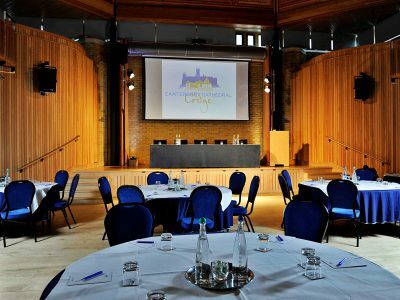 Offering an impressive 250 seat Auditorium with in-built audio-visual facilities, our conference centre at the Cathedral Lodge also houses function rooms that can cater for anything from a small meeting to a large delegate conference. Meeting delegates are promised a truly memorable event, in an inspirational environment. The Cathedral Lodge offers brides a very special and unique wedding reception venue in Canterbury. 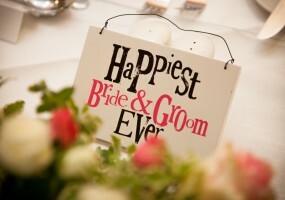 We can cater for anything from a small intimate wedding breakfast to a sit down meal for up to 120 guests. A summer drinks reception in the beautiful Campanile Garden, overlooking the Cathedral is a must! Canterbury Cathedral Lodge offers the best located hotel accommodation and conference facilities in Canterbury. It is situated in the beautiful grounds of Canterbury Cathedral, in the centre of the City of Canterbury, Kent. 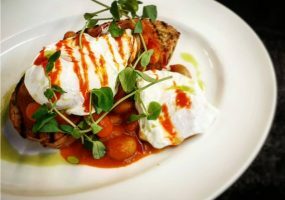 Hotel Accommodation in Canterbury: One of the finest hotels in Canterbury, offering superb hotel accommodation overlooking beautiful lawns and gardens with wonderful views of the Cathedral. 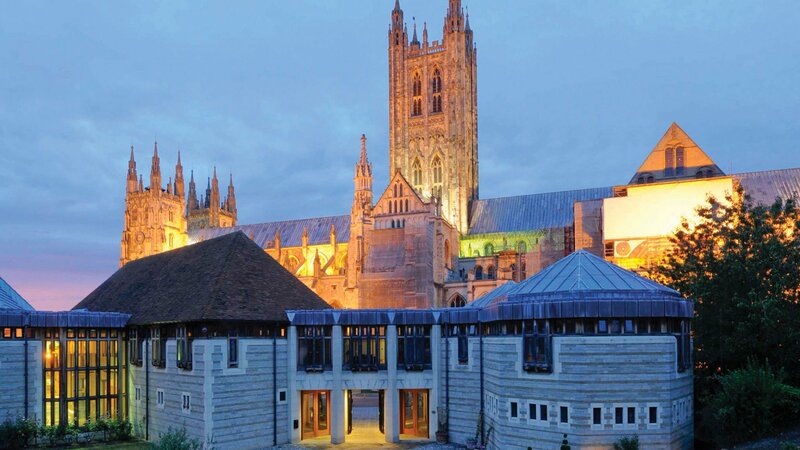 The Cathedral Lodge is the perfect getaway destination for anyone visiting historic Canterbury. 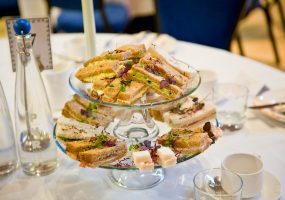 Meeting and Conference facilities in Canterbury: Looking for a unique meeting and conference venue in Kent? The Cathedral Lodge is a purpose-built conference centre in Canterbury, offering first class amenities in an unparalleled setting. 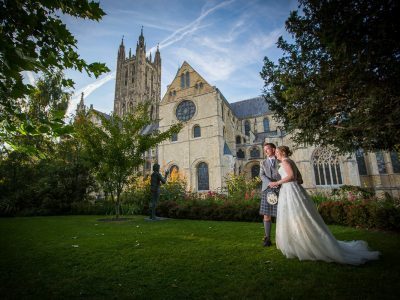 Weddings in Canterbury: Enjoy a champagne drinks reception in the beautiful Campanile garden, followed by a sit down meal in the splendid Clagett Auditorium. For a smaller, more intimate wedding breakfast, our Restaurant with its large floor to ceiling glass doors leading on to a pretty terrace and garden is ideal.